Acute Care Nursing or Wellness and Disease Prevention Nursing? There is a new menu of options of how nurses can serve patients and follow their passion. In a relatively short time – over the past 15 to 20 years – options for nursing professionals have expanded significantly with the increased focus on disease prevention, wellness, aging issues and improved longevity. This increase has been driven by the consumer as well as the various medical institutions and industry interests looking to lower health care costs and increase consumer satisfaction. With escalating levels of chronic disease, and the associated staggering health care costs it became imperative that national medical oversight organizations begin to address some of the underlying factors that have contributed to these rising problems. Because of the high price tag on our health care, we Americans like to assume that we have the best healthcare money can buy. However, a 2016 report compared the healthcare system in the U.S. to 16 other countries health care offerings. The study showed the U.S. 12th out of the 16 countries, with China ranking as the #1 system in the world. The Centers for Disease Control statistics show that 90% of national health care dollars are spent on the care and treatment of chronic disease and mental health. This has become an important flashpoint to address and reduce healthcare costs in the U.S. while decreasing chronic health conditions. Much of medical acute care is also directed at the urgent care treatment of chronic presentations, with the obvious exception of trauma. Not only is consumer dissatisfaction driving initiatives to find successful alternatives, in addition, dissatisfaction among health care workers and professionals a concern as well. 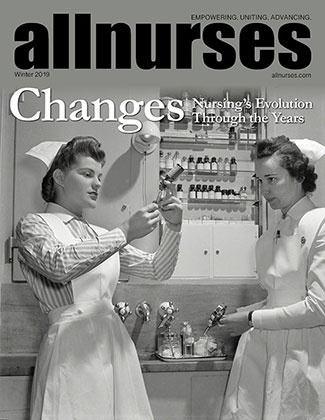 This particular issue, which has a significant impact on the nursing profession, has manifested in several ways. First being that currently there is a large population of nurses who are interested in moving away from symptomatic medicine towards prevention and “wellness” environments. This move away from acute care, symptomatic treatment of illness towards disease prevention, have crafted two “camps”, if you will, of nursing professionals pursuing two different objectives within nursing practice. Many nurses today do feel passionate about patient-centered care, which invites the patient into the center of their own health and wellness, refocusing control from the doctor or provider to the patient, who then has greater autonomy and decision making over the quality of their health care but also the quality of their life. At the same time, many nurses are looking to provide more whole-patient focused care, there is data showing an increase in turnover and job dissatisfaction in traditional medical care facilities. There may be a strong correlation between these two trends. The U.S. culture is also trending towards a more self-care, self-directed lifestyle with many Americans, of all ages, turning to alternative health care as an option for staying healthier longer and avoiding many of the health care crises that can arise from sedentary and unhealthy lifestyle habits. A mere 25 years ago, organic foods, vitamin supplementation, daily workouts, meditation, yoga, having enough sleep and stress reduction were considered to be too “unproven” and “nutty crunchy” for mainstream medicine. Today, vanguards like Harvard Medical School and its Ivy League peers, all offer online health information subscriptions and health education libraries to help make available to the general population, information they can use to create healthier, longer lives, including previous “alternatives”. There are currently more options, than ever before for nurses to work with patients and tap into their passion to serve others. The integrative health field, wellness as a lifestyle, anti-aging, disease prevention, patient empowerment through advocacy, patient health education and lifestyle support, healthcare coaching, patient navigators and more options are available for today’s nurses. It’s a wonderful time for nurses! Georgianna Donadio, MSc, DC, PhD, is the Director of the National Institute of Whole Health, and a health care visionary who pioneered the integration of Whole Health and Whole Person Healthcare within medical and holistic health organizations. Georgianna is one of only six Florence Nightingale Scholars in the U.S., an MNA award-winning Nurse Advocate and widely published Integrative Health expert and healthcare provider. Named “Best Integrative Healthcare Practitioner” in Boston, for 20 years she hosted the nationally syndicated, regionally Emmy nominated women’s TV programming, Woman-to-Woman®. She is currently the host of iHeart radio’s Living above the Drama which is heard globally, and an Amazon #1 Bestselling award winning author. She has been a regular contributor/writer for the Huffington Post, Dr Oz’s Share Care, Daily Strength and other national blogs. I am very interested in disease prevention and would love to work on the prevention side of healthcare once I finish nursing school. I currently work as a nurse assistant in a hospital; from what I see, prevention makes a lot more sense. 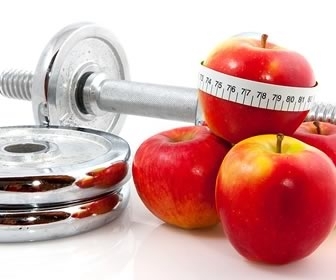 So many patients have several diseases that could have been completely avoided if the patient knew about lifestyle modifications, especially diet and exercise. As part of my BSN work I focused on prevention and wellness. One thing I focused on was the hospital-patient menu. I suggested some changes that would incorporate more education and it was shot down as too expensive and pointless due to the fact that most patients are in the hospital for only 3 days. Except those patients are very often repeat patients due to their chronic illness based on poor diet and exercise choices. One has to wonder about a not-for-profit hospital who doesn't want to encourage patients to take better care of themselves. One of the most professionally satisfying jobs I've ever held in nursing was several years back when some companies started hiring "health coaches". I was fortunate to work for any extremely progressive company that provided extensive training. We were required to use specific internet sites for coaching (.org, Mayo Clinic, Cleveland Clinic, etc). We were able to mail professionally produced DVD's on a variety of topics, scales for CHF patients, etc. We had RD's on staff we could refer to. The motto of the company was "Meet the member where they are". Fantastic! And then they went out of business. Insurance companies didn't want to pay for it. Yes, several years ago hiring health coaches was quite common and popular. The reason things did not work out was health coaching is not billable or reimbursable service. It is viewed as a communication model, which all health providers should train in, but its not seen as a medical service. Not even if done by a physician. Value-Care (which determines how providers are paid for medical services) has its emphasis on patient health education using a whole person, whole health model. The VA has embraced the whole health model and the focus is now more on whole person health education and advocacy to empower individuals with self-directed prevention. Many nurses are leaving acute care for whole health and wellness work and as a result the field is growing and nurses are being sought after as patient educators and advocates. If you want more information, there is a free call-in seminar on April 11th at 8:00 EST. The idea of not having to work with the acutely ill is, of course, an attractive thought to many of us. Practically speaking though, how would an RN make a living encouraging relatively healthy people (or even those with chronic illness) to exercise and get enough sleep? Thank you for your post. Today there are many different specialty trainings that allow nurses to work in wellness or areas of health care that are not acute care. For instance, Doula, homeopathics (yes, you can get an NPI number for both of these specialties), various rehabilitation specialties, patient advocate, patient navigator or patient health education to name a few. The current direction of health care is prevention because finally the money managers (Value-care) have seen that preventing disease is much less expense than treating it. 90% of all healthcare costs originate out of chronic disease, so it makes sense that what is desirable is to create a medical environment where alternative and preventative care is utilized.